October and November showed my Silhouette quite the workout. I go through phases with my die-cut machine, it seems either I use it all the time, or forget it’s there. Today I wanted to share with you how to make the word art from my page, “Brothers” – which features my best friend’s adorable boys. 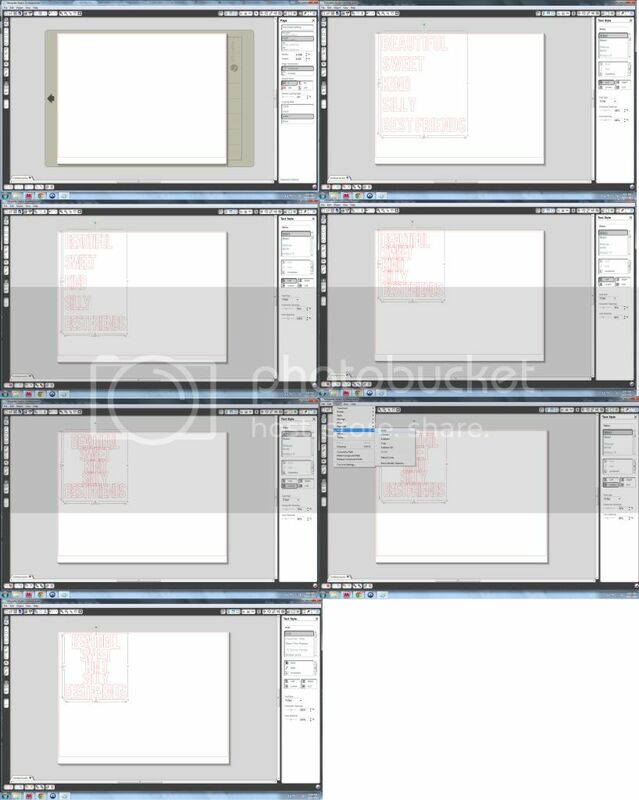 1.Start off with a new page in your Silhouette software. 2. Type the words you want to use, in a good block font. I used BEBAS. 3. Adjust the character spacing, until the letters are slightly overlapping. 4. Adjust the line spacing, until the words are slightly overlapping. 5. Center align the words. 6. Go to Object – Modify – Weld. I added a print screen step by step as well, You can view it HERE. Hope this helps you get creative with your die cutter. Thanks for these clear instructions! I’m going to give this a try. Love you layout!